Manufacturers & Suppliers of Stainless Steel Curtain Rods Exporter, SS Curtain Rod, Curtain Steel Poles Supplier in India in Mumbai. SS Industrial Curtain Rod, SS Curtain Rods. Stainless Steel Curtain Rods, SS Curtain Rods Exporter in India, Curtain Stainless Steel Rods, Curtain SS Rod, Steel Industrial Curtain Rod, Stainless Steel Curtain Poles, SS Curtain Rod Price, Stainless Steel 304 Curtain Rod, SS Decorative Curtain Rods, SS 304L Curtain Rods, 316 Stainless Steel Shower Curtain Rods, SS 316L Curtain Rods Supplier in Mumbai, India. Stainless Steel Double Curtain Rods, Stainless Steel S30400 Curtain Rods, UNS S30403 Curtain Rods, DIN 1.4401 Curtain Rod, WERKSTOFF NR. 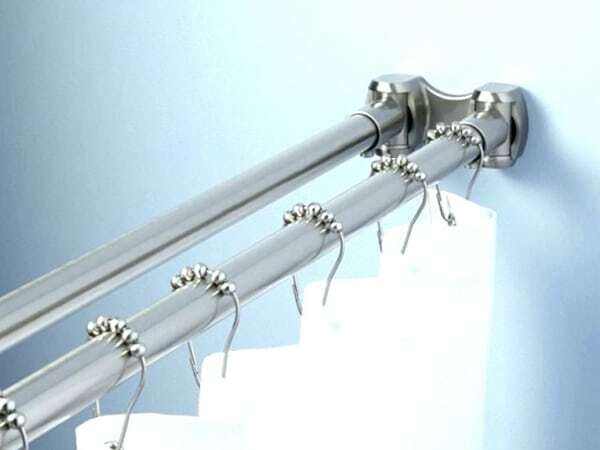 1.4404 Curtain Rods, SS Curved Shower Rod, SS S31600 Curtain Rods, UNS S31603 Stainless Steel Curtain Rods, SS 1.4301 Curtain Rod, High Quality Stainless Steel 1.4306 Curtain Rod Exporter in Mumbai, India. Jayesh metal fetched a complete array of stainless steel curtain rods for our esteemed patrons, all around the world. These SS rods are specially made by our well-trained and long years of experienced experts. We always make use of upgraded machines as well as recent technology just for creating these rods. We even use better quality stainless steel and other untreated materials in order to make it well. These roads are considered exceedingly stylish and it provides an appealing appearance to the room. These are being today highly praised by our respectable patrons for its reliability, and durability. The rods offer a stylish and elegant look to our commercial places as well. These are highly resistant to rust and water. Keeping in mind international quality of standards as well as safety, these stainless steel rods are made with ease and comfort. These can be purchased in different colors and forms from us, as per your needs. 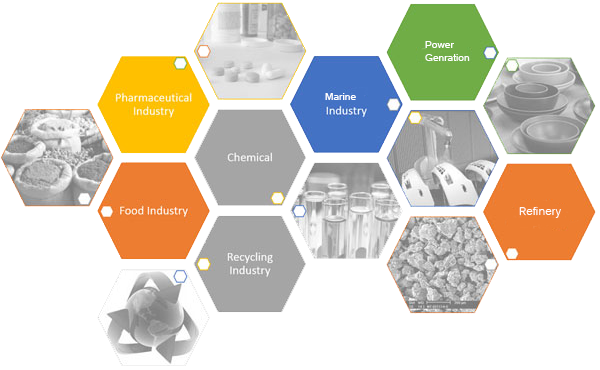 It is provided with some value-added services like machining, draw, expansion, heat treatment and so on. It is produced in different finishing treatments or conditions like hot rolled as well as cold rolled. It is easy to use, because of the lighter weight. It never lost shine and features till the last service life. The stainless steel rods are affordable to buy. Moreover, while delivering it to the customers, stainless steel curtain rods are kept or crammed in wooden pallet, cloth wraps, bundles and more to prevent various damages and even rusting. So, buy it today from us as per your needs. 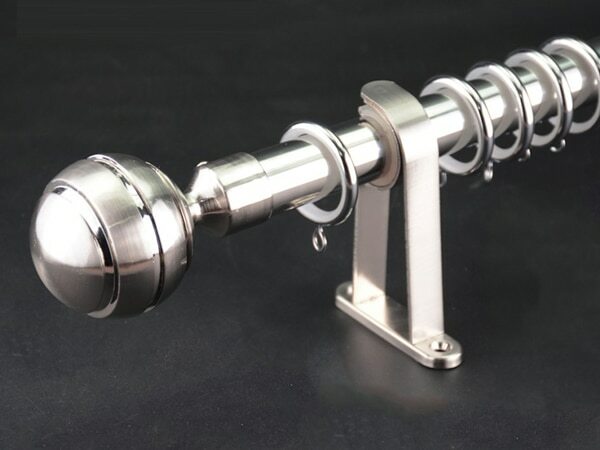 stainless steel curtain rods exporter in india, stainless steel curtain rods price, wnr 1.4301 curtain rod, stainless steel tension curtain rod, stainless steel industrial curtain rod, stainless steel curved double shower curtain rod, werkstoff nr. 1.4306 curtain rods, ss curtain rod manufacturer, ss curtain rod manufacturer, decorative curtain rods stainless steel, stainless steel curtain rods price in india, stainless steel curtain rods supplier in india, stainless steel curved shower curtain rod, ss s30400 curtain rods, stainless curtain rods, stainless steel 24 inch shower curtain rod, shower curtain rod, din 1.4307 curtain rods, uns s30403 ss curtain rods, curtain ss rods dealer in india, ss curtain rods exporter in mumbai, ss s31600 curtain rods, ss 1.4401 curtain rod, ss curtain rod rings, stainless steel bathroom curtain rods, stainless steel curtain rods design, en x5crnimo17-12-2 stainless steel curtain rods, ss tension shower rod, ss curtain rod price per feet, steel 1.4404 curtain ss rod, stainless steel curtain rod brackets, stainless steel double shower curtain rod, stainless steel adjustable curtain rod, curtain rod stainless steel supplier in mumbai, stainless steel long curtain rods, stainless steel curtain rods manufacturers, curtain steel rod in india, stainless steel s31603 curtain rods, ss curtain rods price per foot, ss curtain rods exporter in india, ss sus 316l curtain rods, stainless steel window curtain rods, steel bs 316s31 curtain rod, curtain rod price, curtain rod price, ss adjustable shower curtain rod, curtain steel rod, ss curtain rod manufacturer in chennai, ss curtain rods exporter in kapurthala. Brazil, Norway, South Korea, Greece, Ukraine, Lithuania, Bulgaria, Italy, Colombia, Jordan, Tibet, Netherlands, Germany, United States, Oman, Taiwan, Kenya, New Zealand, Canada, Iran, Turkey, Israel, Belgium, Pakistan, China, Egypt, Poland, Ecuador, Belarus, Switzerland, Denmark, Bangladesh, Japan, Bahrain, South Africa, Mongolia, Namibia, Estonia, Philippines, Peru, Sri Lanka, Mexico, France, Algeria, Azerbaijan, Zimbabwe, Hong Kong, Singapore, Nigeria, Ireland, United Arab Emirates, Poland, Iraq, Nepal, Mexico, Afghanistan, Serbia, Ghana, Costa Rica, Slovakia, Gabon, Portugal, Croatia, Czech Republic, Qatar, United Kingdom, Spain, Puerto Rico, Kuwait, Libya, Malaysia, Chile, Venezuela, Iran, Lebanon, Vietnam, Gambia, Russia, Argentina, Bolivia, Finland, Angola, India, Morocco, Kazakhstan, Saudi Arabia, Sweden, Bhutan, Trinidad & Tobago,Tunisia, Yemen, Romania, Indonesia, Thailand, Austria, Nigeria, Hungary, Chile, Australia, Macau. Doha, Al Khobar, Singapore, Bogota, Brisbane, Rio de Janeiro, Busan, Ludhiana, Colombo, Ho Chi Minh City, Hanoi, Atyrau, Chiyoda, Coimbatore, Vung Tau, Navi Mumbai, Muscat, Dubai, Vadodara, Edmonton, Noida, Petaling Jaya, Perth, Pimpri-Chinchwad, Dammam, Kuwait City, Hyderabad, Aberdeen, Mumbai, Melbourne, Toronto, Thane, Bengaluru, Abu Dhabi, Bangkok, Moscow, Kuala Lumpur, Surat, Tehran, Karachi, Granada, Pune, Mexico City, Gimhae-si, Dallas, Houston, Istanbul, Calgary, New Delhi, Jaipur, Madrid, Faridabad, Jeddah, Lahore, Hong Kong, Milan, Cairo, Kanpur, Montreal, Santiago, Lagos, Algiers, Riyadh, Nagpur, Gurgaon, Courbevoie, London, Indore, Secunderabad, Ankara, Ranchi, Al Jubail, Sharjah, Chandigarh, Visakhapatnam, Jakarta, Haryana, New York, Los Angeles, La Victoria, Sydney, Ernakulam, Rajkot, Nashik, Port-of-Spain, Bhopal, Jamshedpur, Seoul, Ahmedabad, Thiruvananthapuram, Chennai, Baroda, Ahvaz, Manama, Howrah, Caracas, Kolkata, Geoje-si, Ulsan, Kapurthala.